Money back guarantee. Book your log delivery when you buy firewood online. Only low moisture firewood logs for sale. 100% British hardwood logs. Kiln dried logs delivered to West Yorkshire & Wakefield. Welcome to the destination to buy kiln dried & seasoned logs online. Bulk firewood delivered free to West Yorkshire & Wakefield. The crew here at Firewood Fund have been on a mission to make ordering Firewood Logs as convenient as possible. Order your kiln dried logs in a few clicks. Why order from Firewood Fund, we hear you ask? 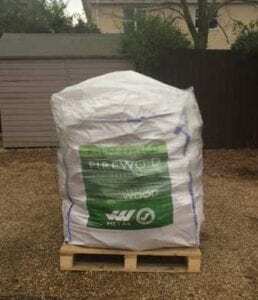 √ Logs delivered in a bulk bag on a pallet. √ We offer free delivery on Kiln Dried Logs, straight to your home in Wakefield or West Yorkshire. √ Checkout with convenience using via Paypal and Stripe for your log delivery. √ We’ve options. Book your log delivery time and date. Buy firewood the convenient way. Order online then get your kiln dried hardwood logs delivered to your address. Why struggle loading your car at the supermarket or garage? Buying logs in small quantities is expensive. Having bulk firewood delivered is the best value way to buy logs. We can supply you a kiln dried logs pallet direct to any Wakefield & West Yorkshire address. Situated on the River Calder and the Eastern Side of the Pennines, Wakefield used to be known as the ‘Merrie City’ in the Middle Ages. It was known as a great market city and the quality of the seafood served, sourced locally, was often raved about at the time. Wakefield was a Royalist stronghold in the Civil War and was the place of the aptly named ‘Battle of Wakefield’. In more recent times the economy has declined due to the closure of many of the city’s traditional manufacturing industries – most notably coal mining. It has recently been the subject of regeneration and is now home to a series of shopping centres – it is also a great place to live for those who regularly commute to Leeds for work. West Riding of Yorkshire, now more commonly known as West Yorkshire, is one of the three historic divisions of the county of Yorkshire. It is home to the ‘West Yorkshire Urban Area, which is the most built-up and largest urban area in the whole of Yorkshire. 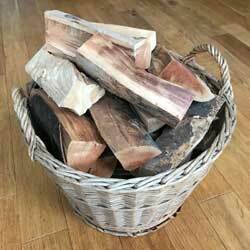 Whether you call Wakefield home, or any other town or city in the West Riding of Yorkshire, Firewood Fund is here to help you keep your home and your loved ones toasty and warm. We’re very passionate about wood, and we proudly stand behind the quality of the kiln-dried firewood that we sell. It’s great quality, burns really well (because of the dryness) and won’t damage your woodburner. We’re driven to making the process as easy as possible – you just need to let us know your payment details, and tell us when/where you want your wood delivered. We’ll do everything else…and we’ll drop them off at your door for free! We even offer you the option to save away monthly, so you can smartly schedule in your wood deliveries…which will balance out the cost and also make sure that you never run out of supplies! We believe we’ve the best logs for your log burner. Best wood for burning = kiln dried logs. More info? Or want to buy kiln dried logs online right away, then click the menu above. Addingham, Baildon, Bingley, Burley-in-Wharfedale, Cottingley, Crossflatts, Cross Roads, Cullingworth, Denholme, East and West Morton, Eccleshill, Eldwick, Esholt, Gilstead, Harden, Haworth, Ilkley, Keighley, Menston, Oakworth, Oxenhope, Queensbury, Riddlesden, Saltaire, Sandy Lane, Shipley, Silsden, Stanbury, Steeton, Thornbury, Thornton, Tong, Undercliffe and Wilsden. Bailiff Bridge, Boothtown, Brighouse, Copley, Cragg Vale, Elland, Greetland, Hebden Bridge, Heptonstall, Hipperholme, Holywell Green, Luddendenfoot, Mytholmroyd, Norwood Green, Rastrick, Ripponden, Shelf, Shibden, Sowerby Bridge and Todmorden. Almondbury, Batley, Birkby, Birkenshaw, Birstall, Cleckheaton, Dalton, Denby Dale, Dewsbury, Emley, Golcar, Gomersal, Hartshead, Hartshead Moor, Heckmondwike, Holmfirth, Honley, Kirkburton, Kirkheaton, Linthwaite, Liversedge, Marsden, Meltham, Mirfield, New Mill, Norristhorpe, Roberttown, Scammonden, Shelley, Shepley, Skelmanthorpe, Slaithwaite and Thornhill. Allerton Bywater, Beeston, Boston Spa, Collingham, Garforth, Guiseley, Harewood, Headingley, Holbeck, Horsforth, Kippax, Kirkstall, Ledsham, Ledston, Methley, Middleton, Morley, New Farnley, Otley, Oulton, Pool-in-Wharfedale, Pudsey, Rothwell, Rawdon, Scarcroft, Scholes, Stourton, Swillington, Walton (Leeds), Wetherby and Yeadon. Ackworth, Alverthorpe, Castleford, Crigglestone, Crofton, Durkar, Fairburn Ings, Featherstone, Ferrybridge, Fitzwilliam, Hemsworth, Horbury, Knottingley, Newmillerdam, Normanton, Nostell, Ossett, Outwood, Pontefract, Ryhill, Sandal, Sharlston, Stanley, Walton (Wakefield) and West Bretton. Not only searching the world wide web for kiln dried logs? Want a local fireplace or stove supplier? Contemplating which wood burning stove to buy? We’d recommend burning kiln dried logs on a Morso Stove.